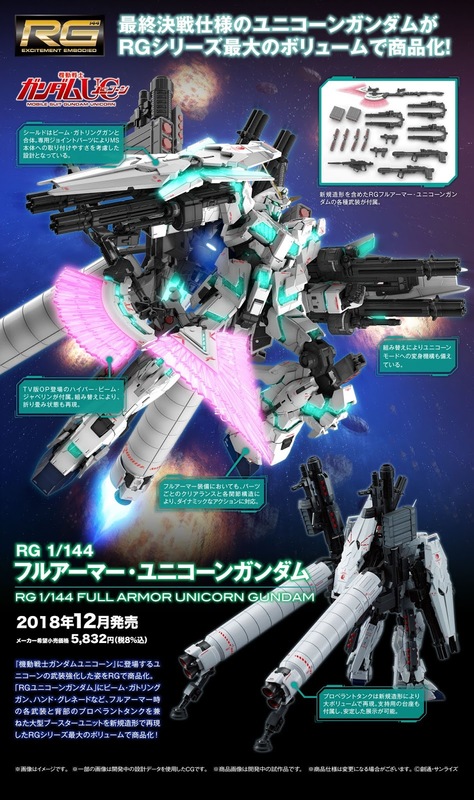 The Real Grade Full Armor Unicorn Gundam is armed to the teeth with its Beam Magnum, two Hyper Bazookas, Beam Javelin, and much more, including the pair of massive propellant tanks attached to its backpack! It snaps together for ease of assembly, and is molded in color so painting isn’t necessary, although you could certainly add some paintwork to make it really stand out on your shelf. Order yours today!